This is a selection of the music videos we’ve created in 2011 and 2012. 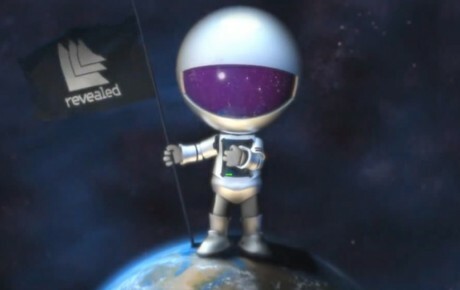 Hardwell releases the vocal version of the worldwide hit 'Spaceman'. Mitch Crown has provided the vocals for this track now going by the name 'Call Me A Spaceman'. 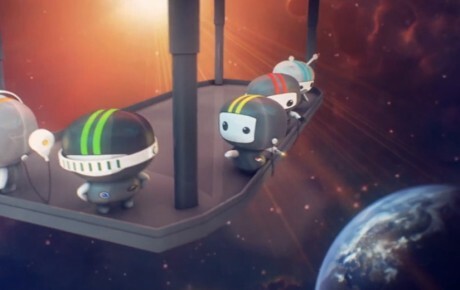 Dancefoundation teamed up with Studio Whoohoo to create the music video for 'Call Me A Spaceman'. 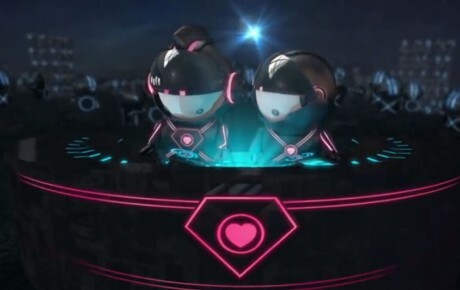 It is a combination of 3D animation with the 'Spaceman' of the original artwork as the leading part along with the high energized live footage editing Hardwell's video's are famous for. This Music Video also has some stunning sound effects added for that special space ride experience. Last year, five space cadets landed from another dimension, to unite the world with music. This year they are back for A State of Trance 550, and they brought an army… Their friendly invasion is all about spreading the love for music. Their mission: to make this global happening and milestone a grand success. Geared with passion and love for music, they travel to 6 different cities to celebrate 11 years of Armin van Buuren’s A State of Trance show! Their fuel? W&W's 'Invasion’, the official ASOT 550 anthem! You can now check out the official music video of the ASOT 550 anthem, and see how the ASOT friends get their master plan into work. Two of them accidentally bring the entire mission in jeopardy, when they loose some essential gear on their way to planet earth. Will our friends be in time to save the day and meet you on the dance floor? The music video is created by Dancefoundation and Studio Whoohoo. The next single of Armin van Buuren's 'Mirage' album is the beloved, feel-good piece of 'Youtopia', featuring the unique vocals of Owl City singer Adam Young! All the way from Minnesota in the US, a warm sounding male vocal found its way on a track of Armin van Buuren's fourth artist album 'Mirage'. The remarkable voice belongs to Adam Young, singer of Owl city, famous for synth-pop tracks like 'Fireflies' and 'Umbrella Beach'. Despite the differences in their music, Armin and Adam took on the challenge to create something that combines the best of both worlds, coming together in 'Youtopia'. A sparkling, vivid track with a positive vibe that'll get stuck in your head in no-time. Dancefoundation filmed the music video on location in Denmark. Music video made for the SEAT's Next DJ campaign. 20-year old talent Han van de Veerdonk aka DiVasco teamed up with Signum to produce 'Heat'. Signum, known of classics 'What Ya Got 4 Me', 'Push Through', 'First Strike' and remixes for the likes of Armin van Buuren, Tiësto and ATB, delivered their debut album 'For You' at the end of last year, after nearly 15 years of producing. A world of difference to the young talent of DiVasco. But it's mainly the differences that make the result of their collab sound so special. 'Heat' is the promising collab of Signum and DiVasco, that kicks in with rolling beats, a tight hook and a powerful mix of trance, techno and house. A characteristic track that will surely make the dance floor explode. Music video made for the SEAT's Next DJ campaign. Finalist Joey Jansen, better known as Renvo, had a dream come true by collaborating with W&W on this track. And the result is showing. Both sounds, of Renvo and W&W, are represented, as well as a mix of melodic tech-trance, atmospheric vocals and playful kicks. 'Breakout' is, als W&W like to describe it 'an energetic and groovy track with a strong riff, just the way we both like it'. 'Breakout' will surely have its effect on the dance floor! In March 2011, the A State of Trance radioshow reaches its 500th episode, going strong for more than 10 years. Celebrated with 5 events across 5 different continents in 5 weeks, the ASOT 500 show is turning into one of the greatest celebrations trance has ever known. With a grand celebration, comes a great anthem. And who better than Armin himself, can provide you one? He crawled into his Gaia skin to produce the very special follow-up to '4 Elements', 'Tuvan' and 'Aisha': 'Status Excessu D'. 'Status Excessu D' has everything a brilliant theme song needs: energy, strong beats, a warm melody, a real classic feel and a break that sends shivers down your spine no matter how many times you've listened to it. This is 'Status Excessu D', the official A State of Trance 500 theme and sound of a future that'll surely hold many more beloved A State of Trance episodes. 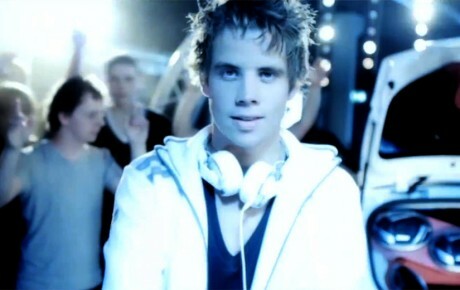 Dancefoundation created and directed the official music video, together with Tom Geraedts @ M-I-E.